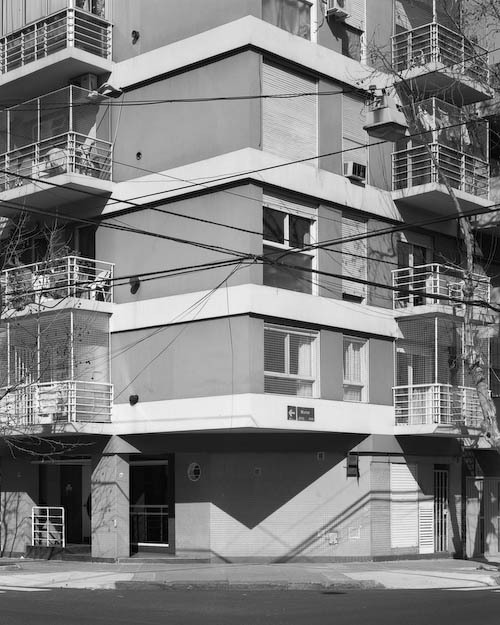 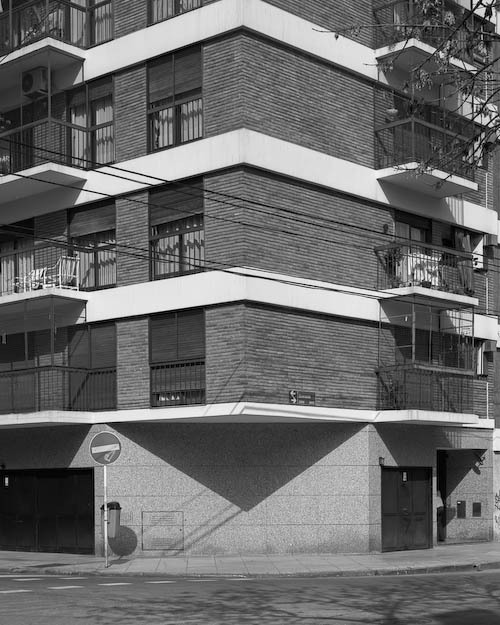 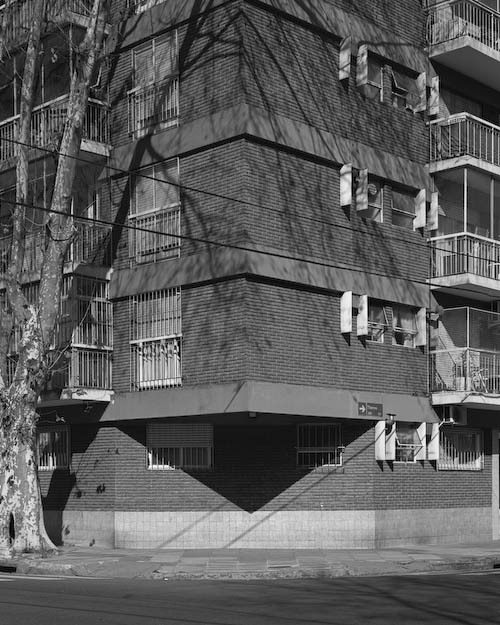 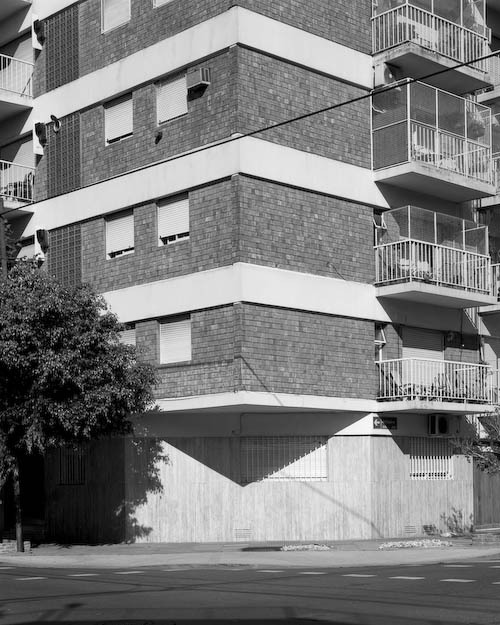 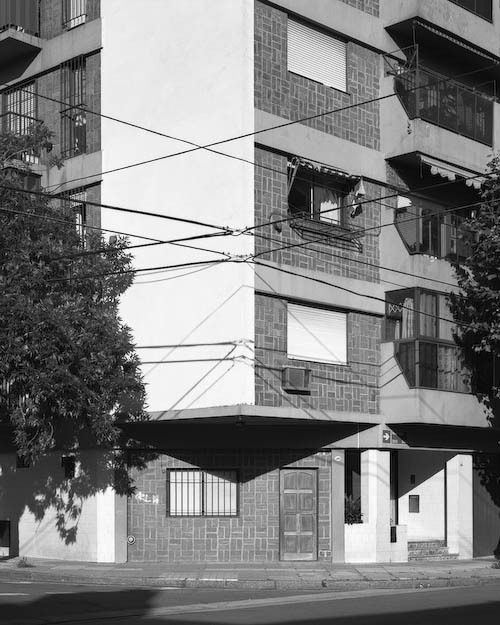 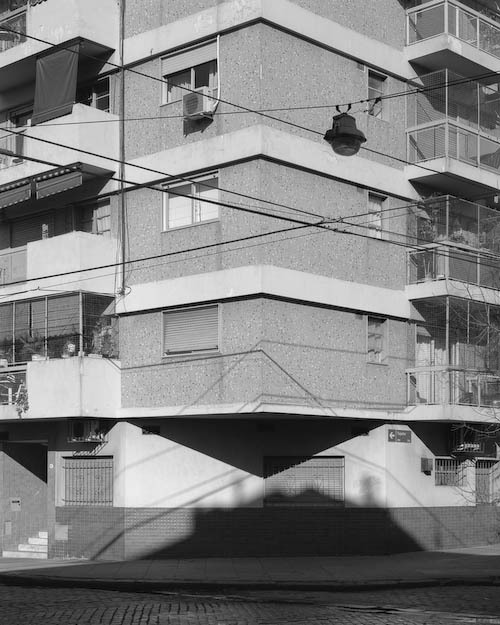 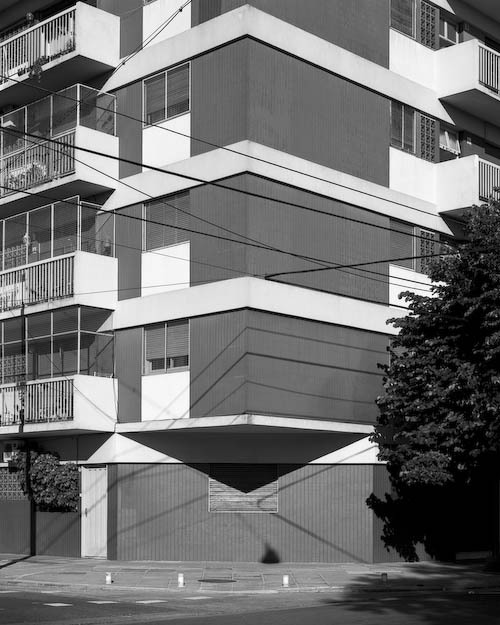 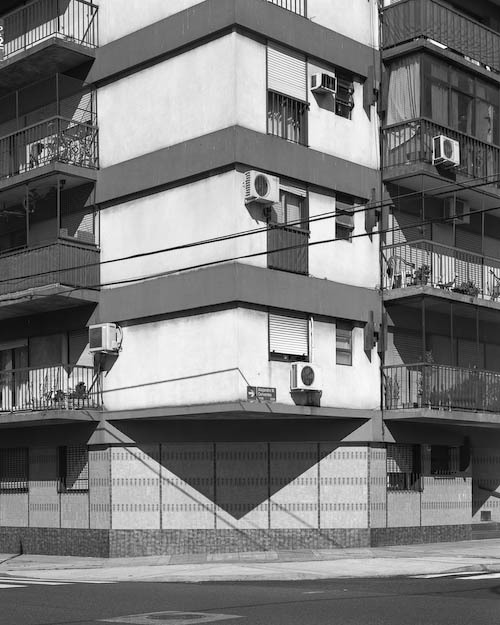 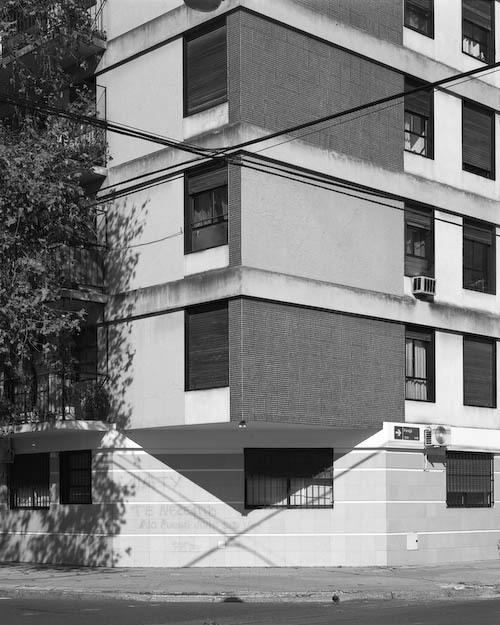 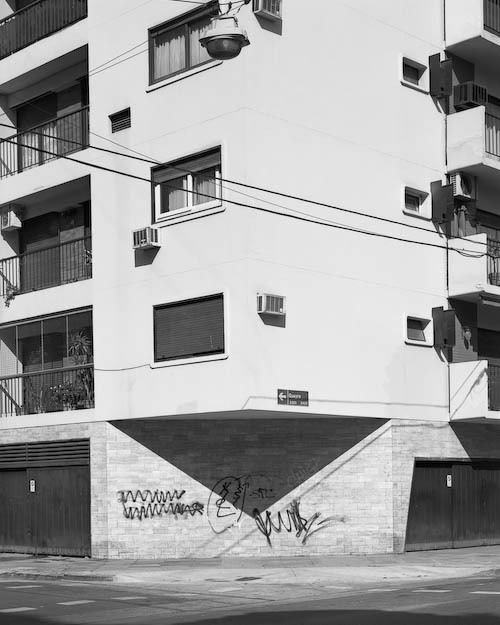 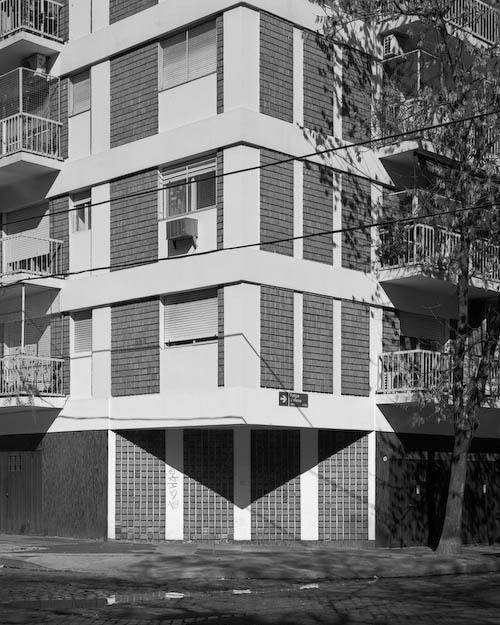 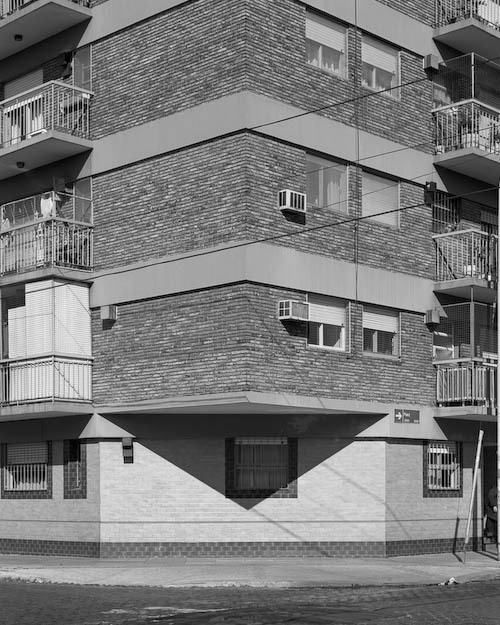 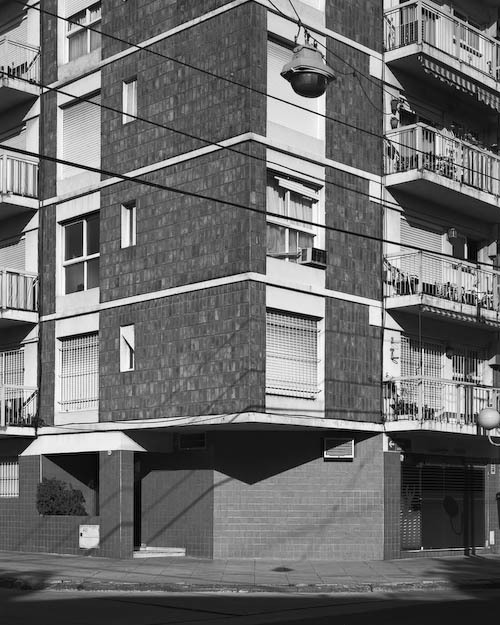 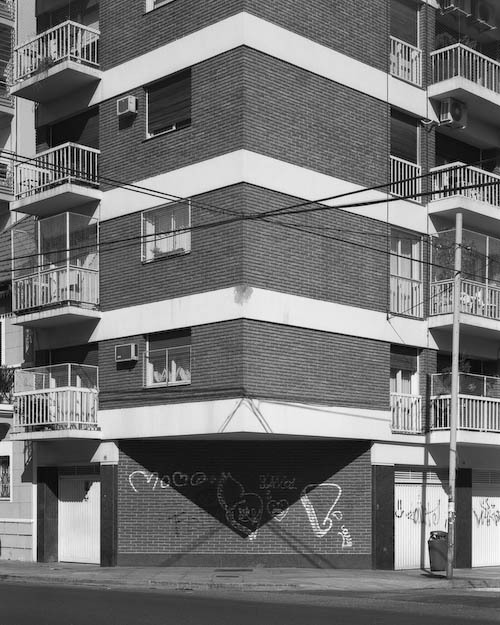 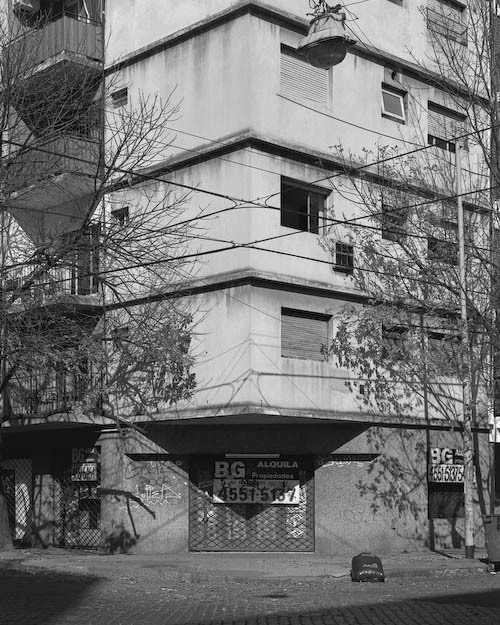 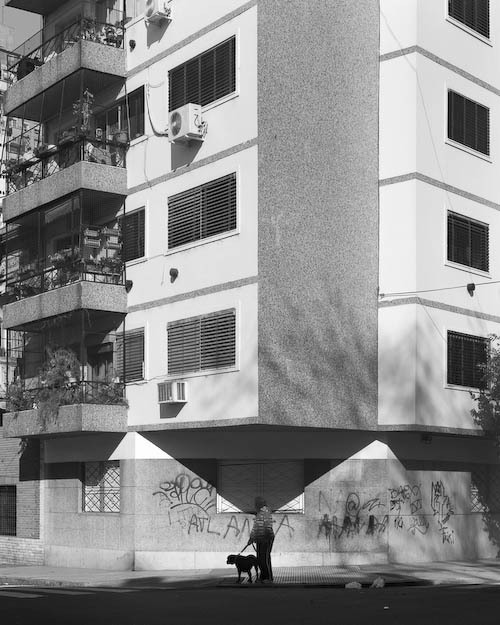 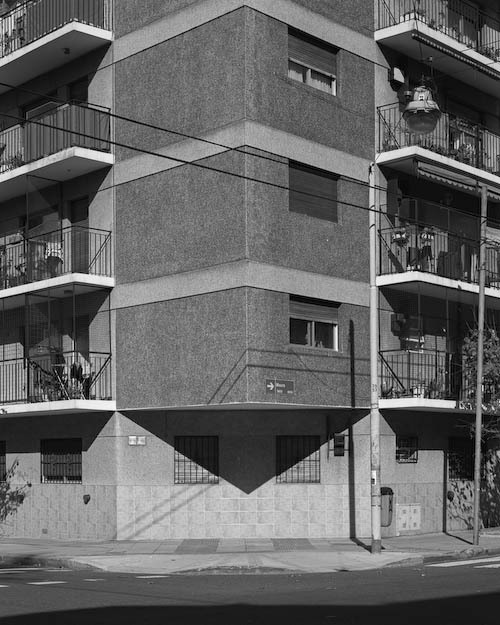 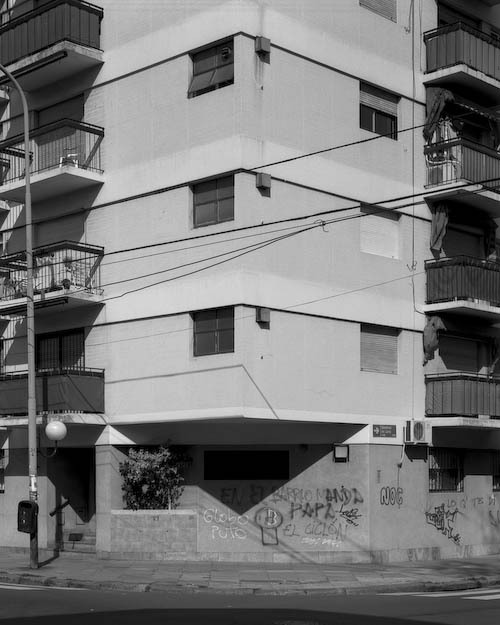 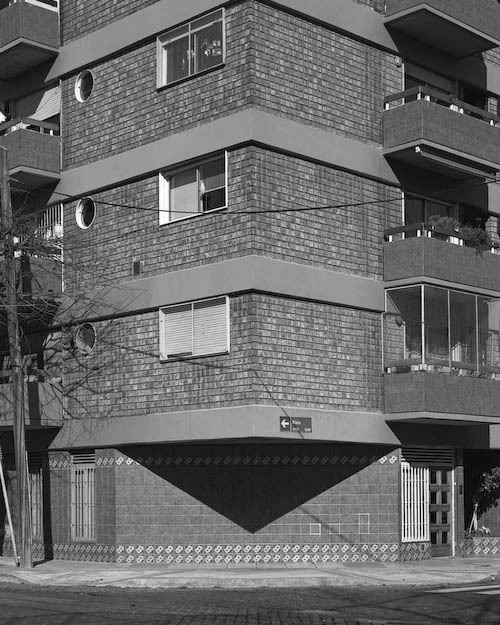 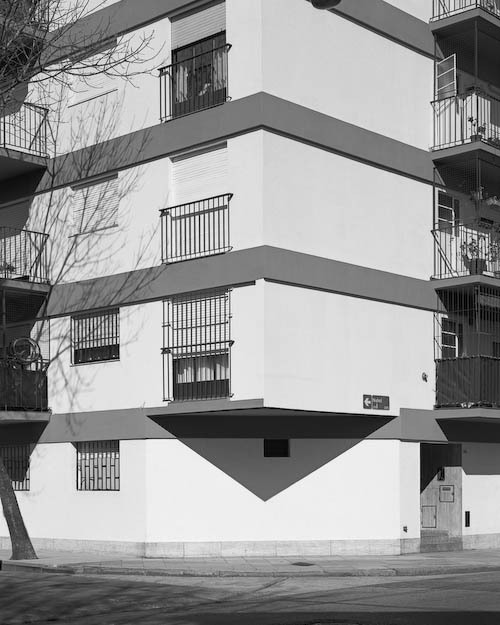 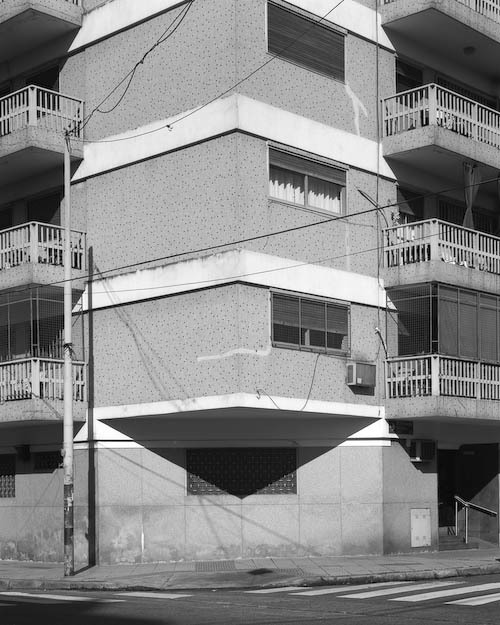 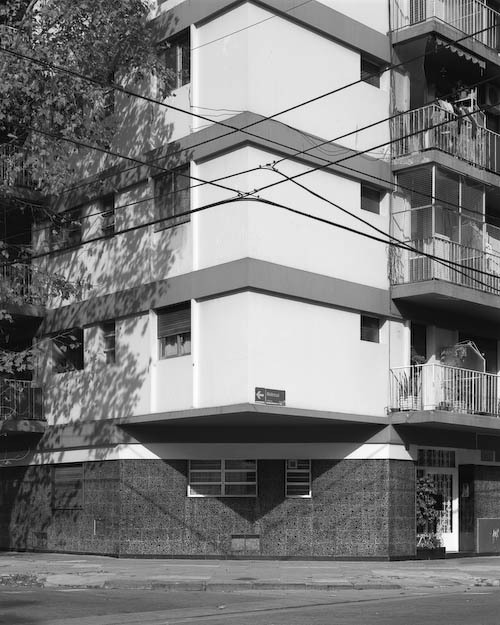 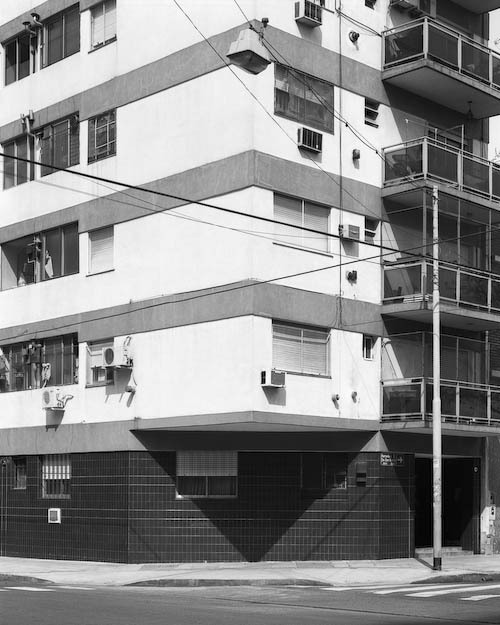 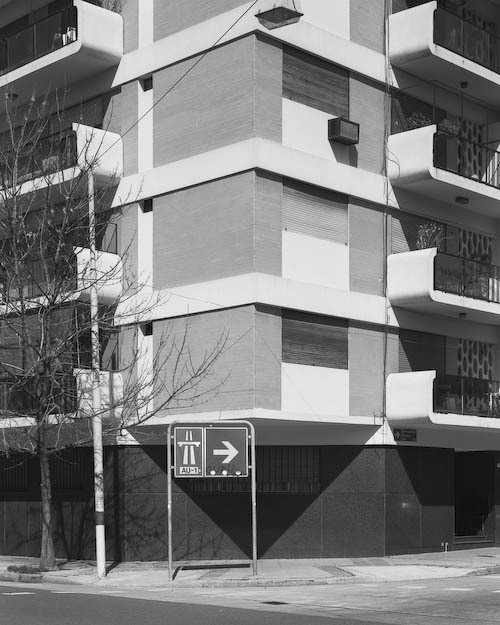 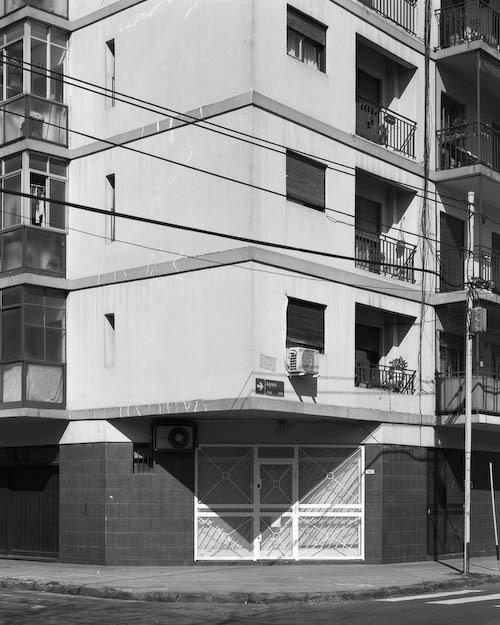 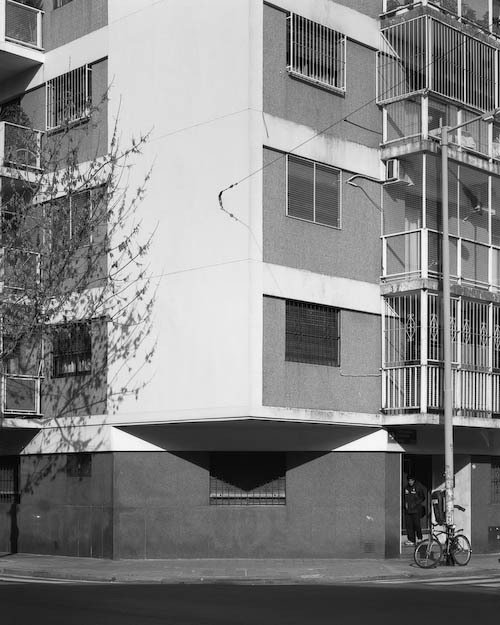 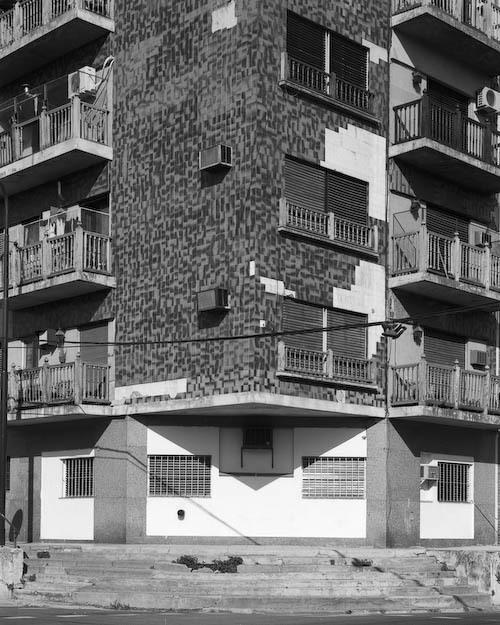 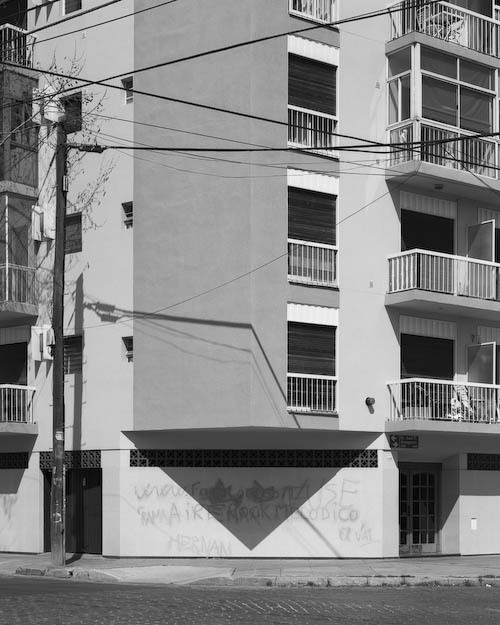 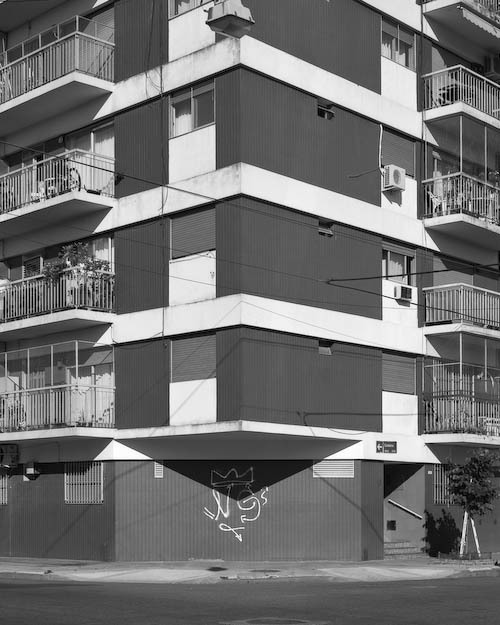 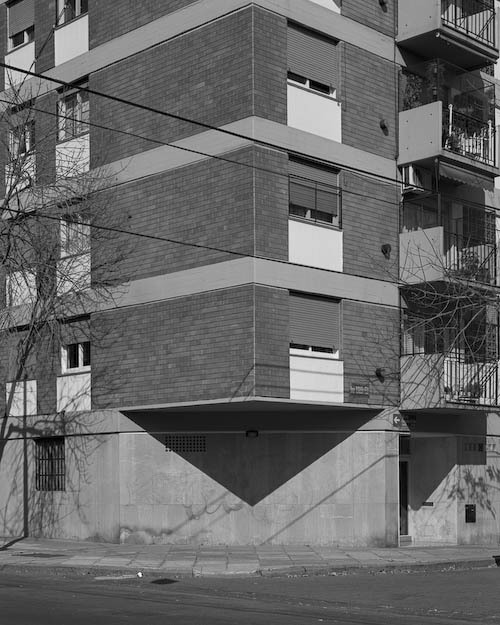 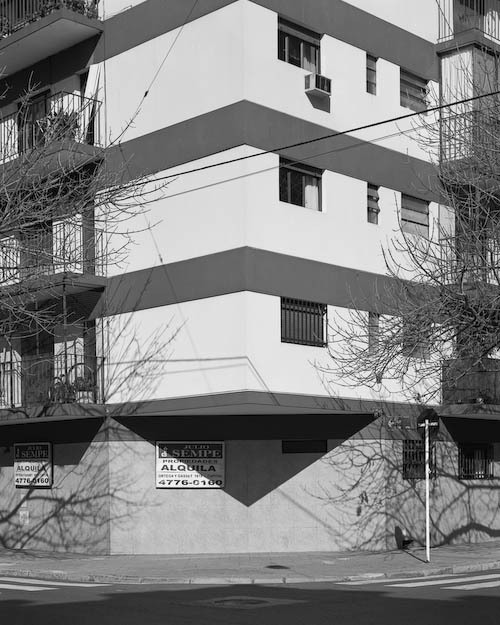 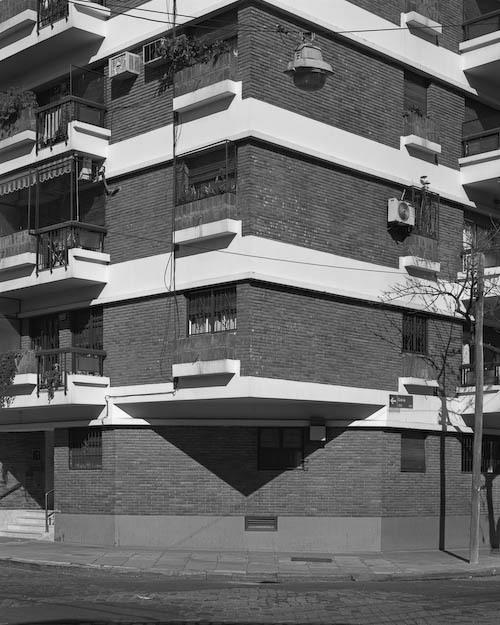 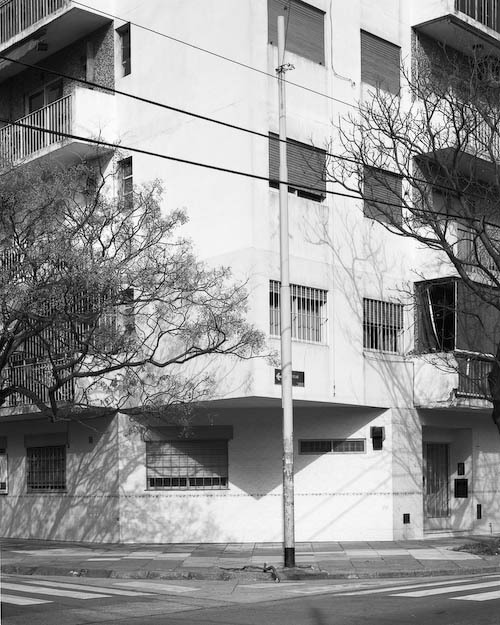 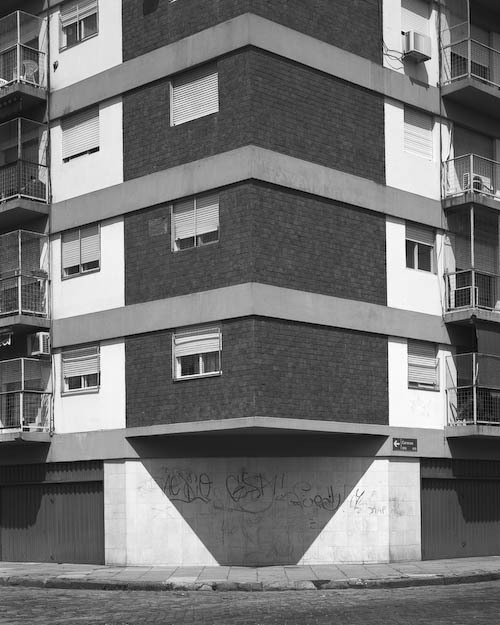 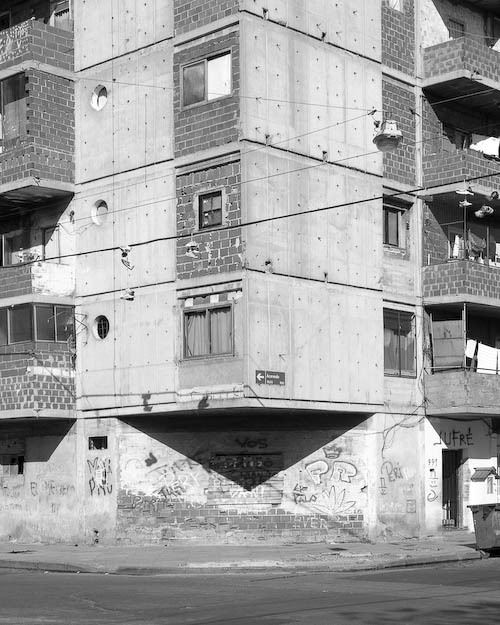 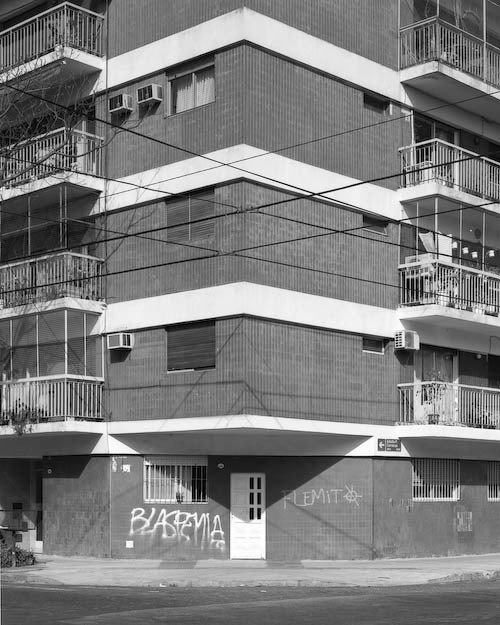 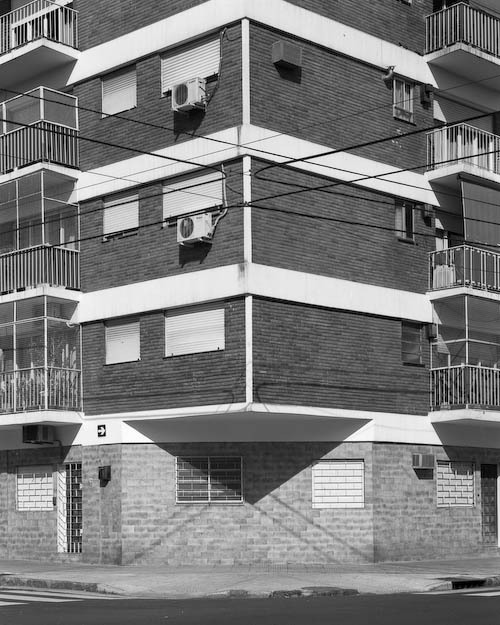 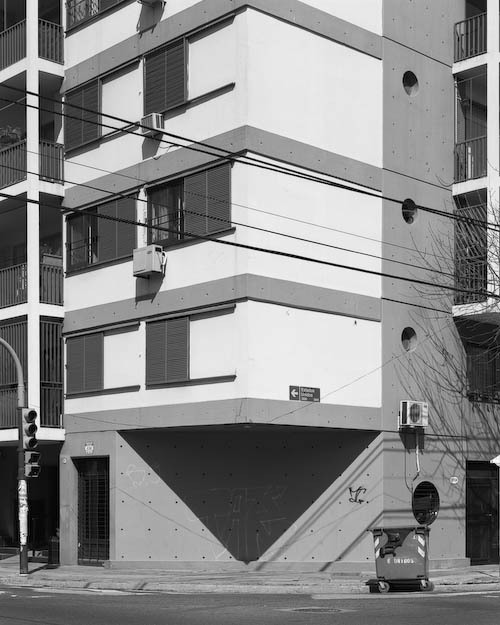 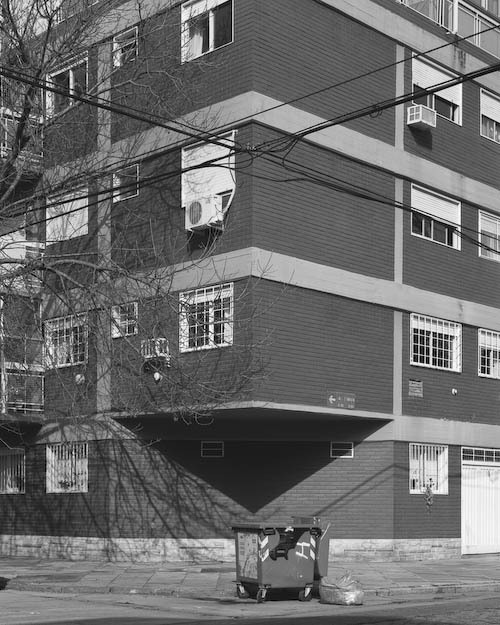 In the early part of the 20th century, the Buenos Aires government mandated that buildings on corners have a diagonal edge. 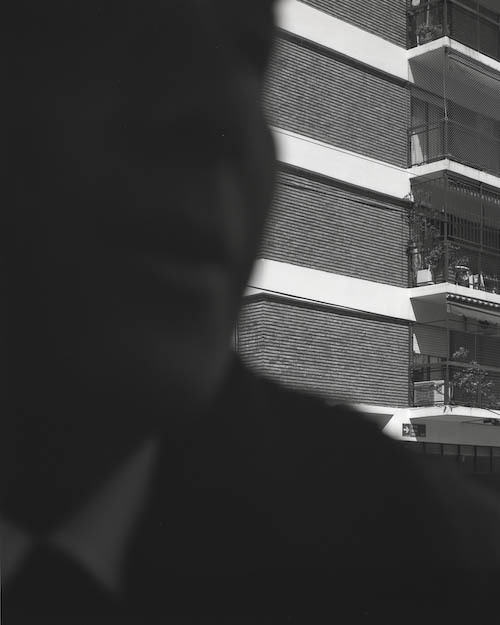 The goal was to improve visibility at intersections for cars. 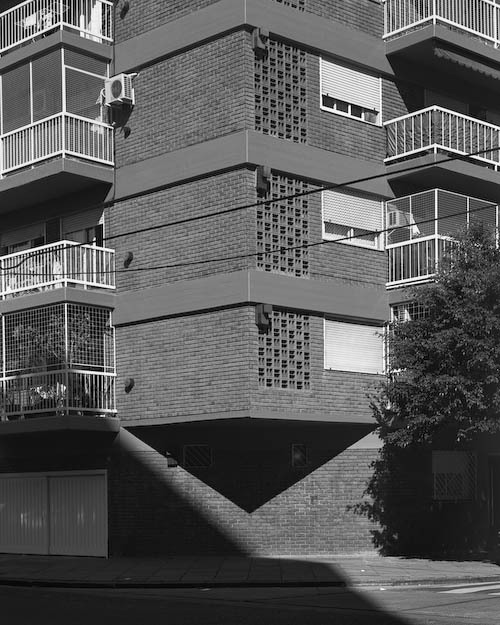 The beveled cut is referred to as an ochava, in reference to the octagonal shape the four corners of an intersection form when viewed from above. 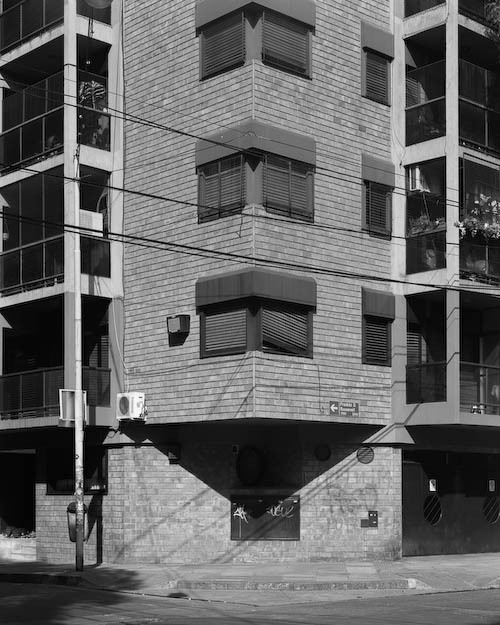 The law only applies to the ground floor, however. 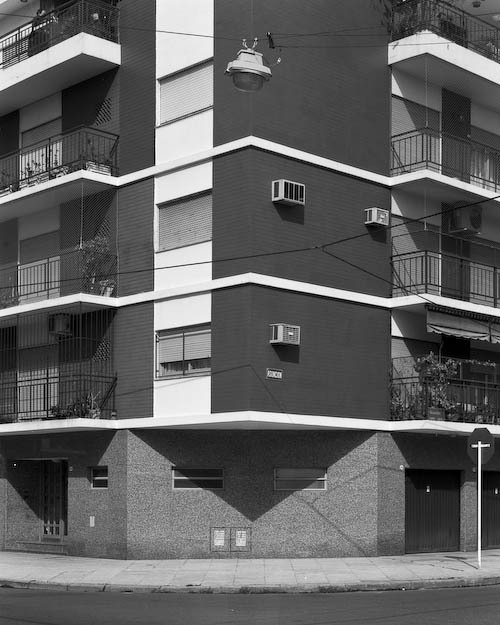 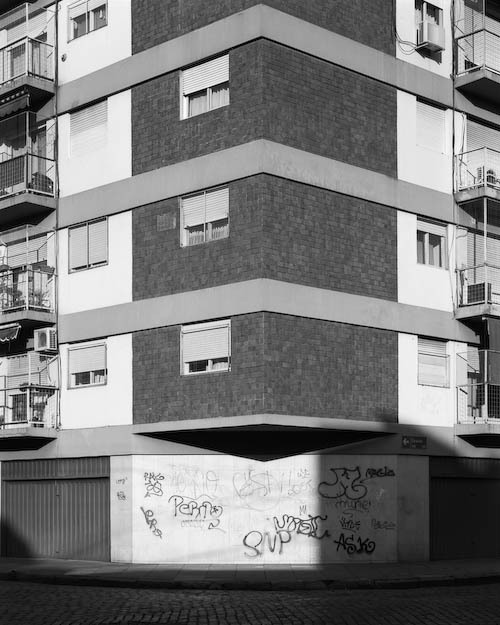 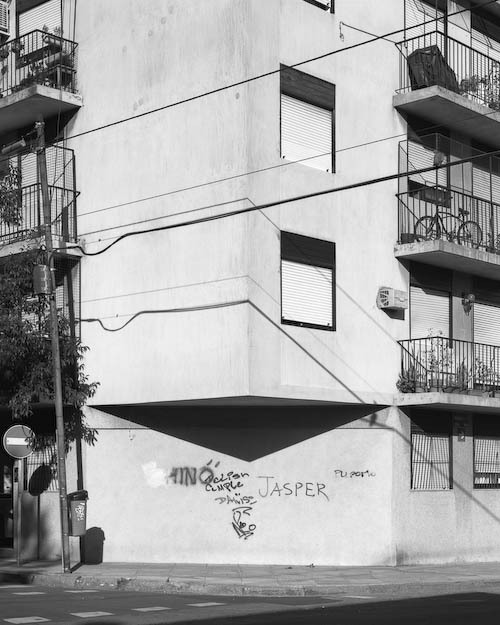 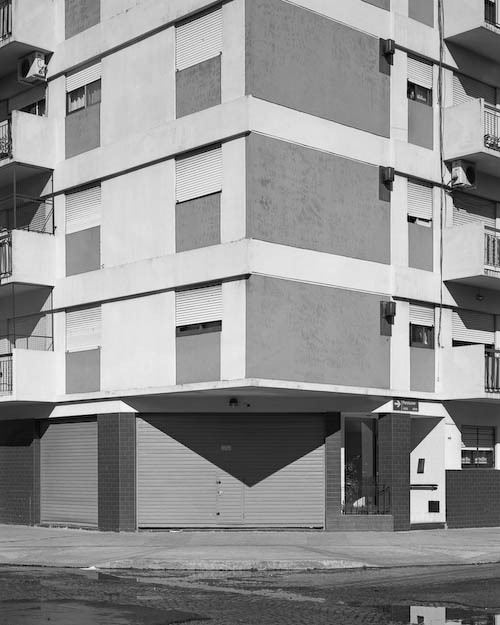 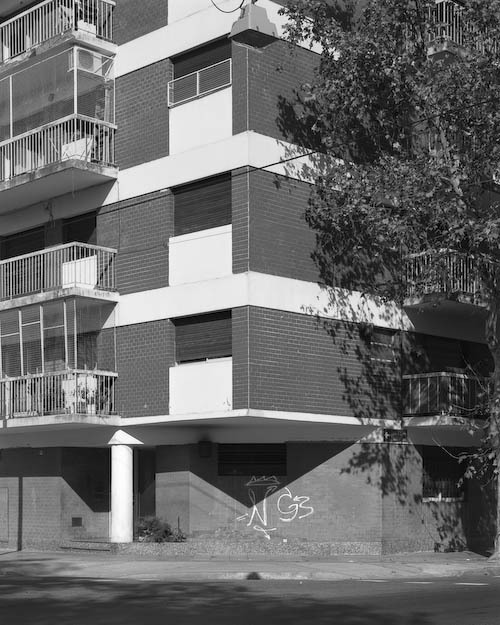 From the 1960s onwards, the economic imperatives of real estate development demanded maximum square footage, which meant square edges for the buildings on all floors above the ground floor. 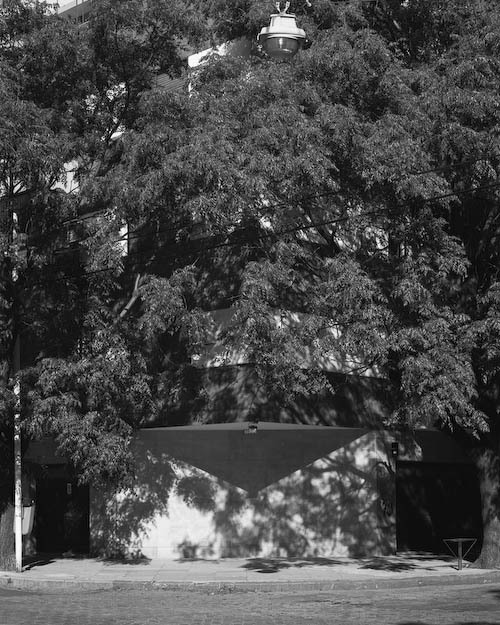 This combination automobile safety and construction efficiency results in a triangular shadow which tracks the progress of the sun, much as a sun dial does. 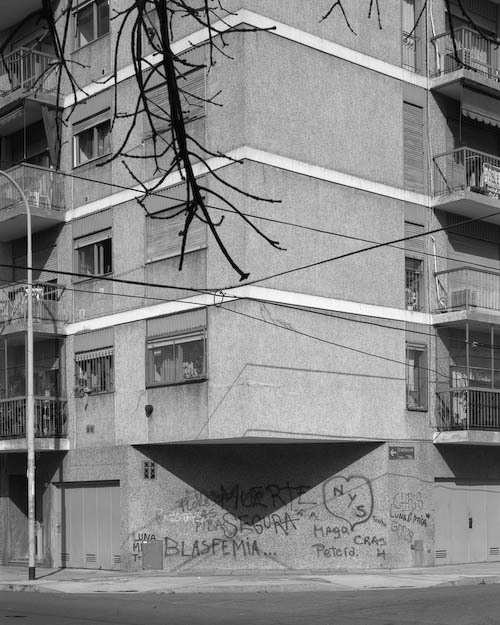 You may purchase a book with these photos.